All the way back in the 12th century, the Franciscan friar William of Ockham gave the world a rule: "Plurality must never be posited without necessity." Put more simply, the simplest answer - that is, the answer that requires the fewest assumptions - is generally the correct one. In the 800-plus years since Friar William laid down his maxim, logicians have turned it into a rule: Occam's razor. Occam's razor simply states that of any given set of explanations for an event occurring, the simplest one is most likely the correct one. Occam's razor makes no absolute assertions. It does not claim that the simplest answer is always correct. It merely suggests that, among all possible answers to a question, one's best bet is generally the one that requires the fewest assumptions. One of the fence posts is broken. Of possible explanations a) An albino moose, lost on its quest for its squirrel best friend, crashed through the fence in despair, or b) An old nail rusted through, "b" is more likely. 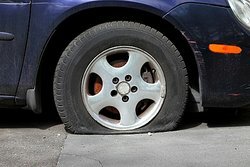 The tire on the car is flat. Of possible explanations a) The screw stuck in the tire wall let the air out, or b) Serial tire-flatteners sliced it open with a laser scalpel, creating an imperceptible hole, then inserted the screw in another part of the tire to mark their victory, explanation "a" is more likely. It is raining and I saw a bright flash through my curtains. Of possible explanations a) lightning, or b) UFOs are trying to pull my roof off, explanation "a" is more likely. A student failed the statistics test. Of possible explanations a) The student needed to study harder, or b) Malicious textbook publishers put wrong answers in the study guide in hopes of sabotaging future statisticians, explanation "a" is more likely. A car rear-ended another in highway traffic during rush hour. Of possible explanations a) The driver was distracted by the phone in his hand, or b) The driver was distracted by an elephant on the side of the road, which ran away before anyone else could see it, explanation "a" is more likely. A loud noise is heard in an apartment that is next to a busy highway. Of possible explanations a) The surface of the highway cracked due to an unprecedented volcanic event, or b) A truck backfired, explanation "b" is more likely. A man has sent several text messages to his wife over the course of a day, and she has not responded. Of possible explanations a) her phone ran out of battery, or b) she is maliciously ignoring him in revenge for an error on his part that he cannot remember, explanation "a" is more likely. A woman is nauseous several hours after eating at a restaurant. Of possible explanations a) She may have food poisoning or b) Her long-dormant fetal twin has awakened and begun to move, explanation "a" is more likely. A roast beef in the oven burns to a crisp after being in the oven for only one hour. Of possible explanations a) A sleepwalking neighbor came into the house and turned up the oven temperature, or b) The oven's temperature gauge is wrong, explanation "b" is more likely. A dog owner comes home to the trash can tipped over and trash is scattered on the floor. Of possible explanations a) The dog tipped the trash can over, or b) Someone broke into the house and sorted through the trash can, explanation "a" is more likely. A ball rolls out into the road in a residential area in front of a man's car. Of possible explanations a) Some children are playing ball and it accidentally rolled into the road, or b) Some children are rolling balls into the road deliberately, in hopes of wrecking cars and looting the remains to prop up their tottering lemonade business, explanation "a" is more likely. Occam's razor is a vital tool in rigorous thought. By reducing the number of unsupported assumptions in an explanation, you reduce the likelihood of being wrong. That's as true now as it was in the 12th century. For more tools of logic, check out our examples of deductive reasoning and inductive reasoning. For an exhaustive list of what not to do, try our examples of logical fallacies. "Examples of Occam\'s Razor." YourDictionary, n.d. Web. 18 April 2019. <https://examples.yourdictionary.com/examples-of-occam-s-razor.html>. All the way back in the 12th century, the Franciscan friar William of Ockham gave the world a rule: “Plurality must never be posited without necessity.” Put more simply, the simplest answer - that is, the answer that requires the fewest assumptions - is generally the correct one.In the 800-plus years since Friar William laid down his maxim, logicians have turned it into a rule: Occam's razor. Occam’s razor simply states that of any given set of explanations for an event occurring, the simplest one is most likely the correct one.Occam's razor makes no absolute assertions. It does not claim that the simplest answer is always correct. It merely suggests that, among all possible answers to a question, one’s best bet is generally the one that requires the fewest assumptions.